Transaction volumes low, drive above $4,500 must be high-volume. 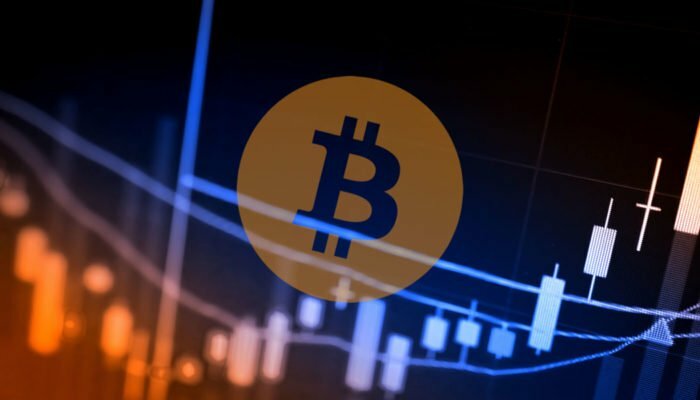 The UK’s FCA research concludes that Bitcoin (BTC) and crypto-asset investors are here for the money. Meanwhile, prices are stagnant, and as accumulation continues, the next feasible target will be $4,500. The open source nature of blockchain projects means anyone can plug in, mine, contribute code or do whatever they wish for the sole to strengthen the network. Unfortunately, this is also an open door for speculators keen on making money. Speculators are everywhere, not just in crypto markets. At least what that is what we get from open source projects. In others as JPM Coin for example, only approved clients can participate despite being developed with blockchain foundations. With an express goal of catalyzing a shift from centralized banking to total control weeks after the disastrous GFC, Bitcoin first as technology and later as an alternative currency has been on a roll. A couple of bumps with regulators and the Bitcoin remain a force to reckon thanks to increasing interest, a strong foundation, and mathematics. Therefore, the Financial Conduct Authority (FCA) research concluding that participants are here for the money, attempting to “get rich quickly” as if the platform is a Ponzi is false. 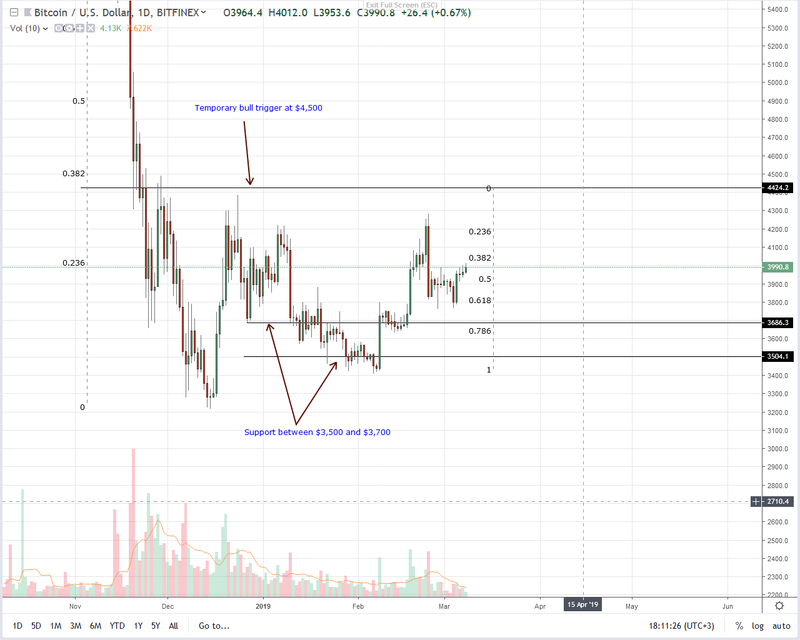 Current stability of Bitcoin (BTC) prices mean there is an opportunity for traders to buy on dips as laid out in all our previous BTC/USD trade plans. Thanks to increasing momentum and streams of positive fundamentals, buyers have an edge. While we may be positive about recent higher highs, risk-averse traders must wait until there is a definite pass meaning they can only initiate long traders once BTC rally above $4,500. After that, the resulting confirmation will probably drive prices above $6,000 as fundamentals, and candlestick formations converge. Like before, support is at $3,500 and as long as prices are above this mark, buyers have a chance. Our reference bar is Mar 5, and although is it bullish, volumes are low at 10k. We can’t compare this with those of Feb 24—36k and it is, therefore, paramount that interest drive volumes above 40k as prices race above $4,500 reaffirming bulls of mid-Feb 2018.